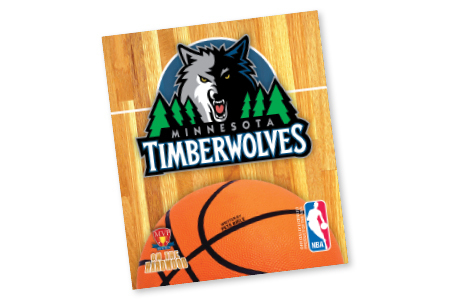 Join the Minnesota Timberwolves On the Hardwood in this officially licensed NBA team book. In On the Hardwood: Minnesota Timberwolves, we hear about the steps that were taken to bring a team back to the Twin Cities, and how the Timberwolves thrived after drafting one of the game’s greats, Kevin Garnett. Now, Ricky Rubio, Derrick Williams and Kevin Love are poised to deliver on their sizeable potential as they try to deliver a long-awaited championship to Minnesota.